In the Create Tutorials, you learned how sub-summary reports let you sort and aggregate data to help you understand the information you’re gathering. However, reports can do more than this! 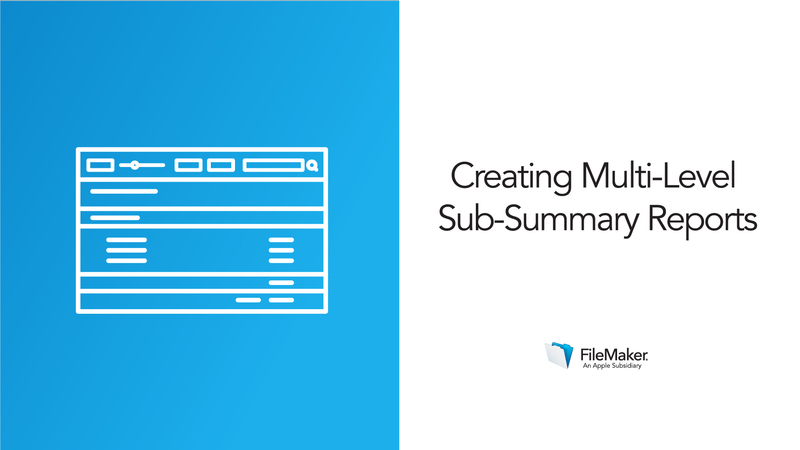 You can use them to compile and export data via scripts, and you can build reports with multiple sub-summary sections — called parts — to show users multiple tiers of summarized data. 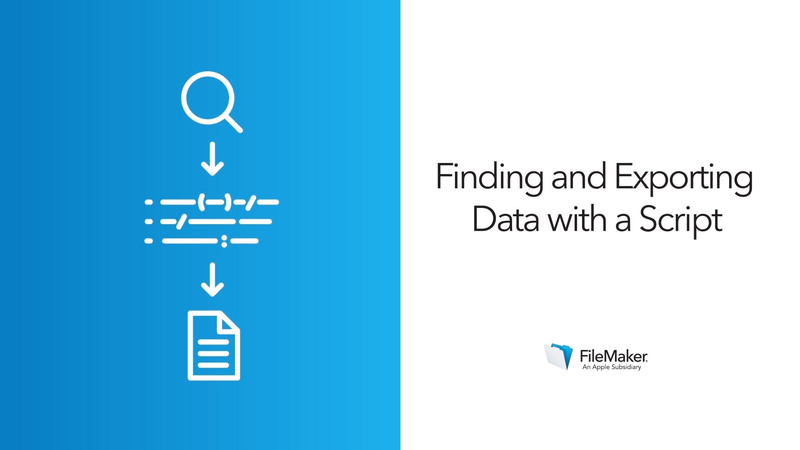 In addition to report set-up, in this lesson you’ll practice new calculation functions, and learn about a special field option called global storage, or “global fields.” These are useful for storing information that isn’t specific to one record, such as search terms for a script. This lesson incorporates calculations, scripting, reporting, and interface design in two examples of informative and user-friendly layouts. The cleaner you can make reports, the easier it will be for users to pick out important elements quickly. Many reports require two levels of data — for example, you may wish to see sales grouped by month, and within each month by salesperson. With the multi-level sub-summary technique, you can respond quickly to more complex reporting requests. In the activity below, combine reporting and scripting skills to complete the bookkeeper’s report request, allowing her to compile and export the report from the sample app. Add more information to a bookkeeping report with sub-summaries for each month, then service name. Learn new functions, and refine the view to make it easily scannable.